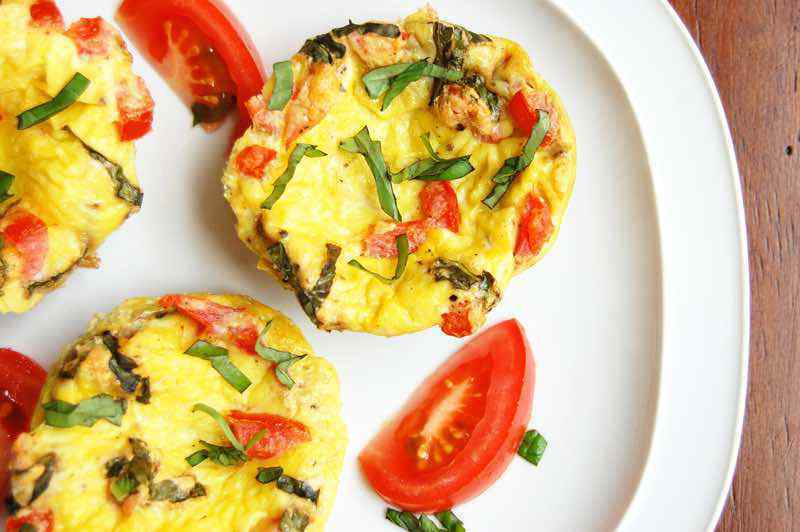 This is an easy preparation for paleo egg muffins, which are great to make ahead for breakfasts on the go. 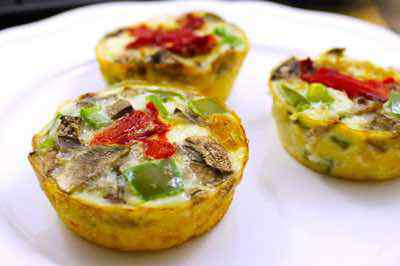 Simply store the egg muffins in the refrigerator and reheat for a quick breakfast in the morning, with a side of protein or vegetables. 1. Preheat the oven to 350 degrees F. Spray a muffin tin with coconut oil spray. In a medium bowl, stir the egg whites together with the garlic powder, salt, and pepper. 2. 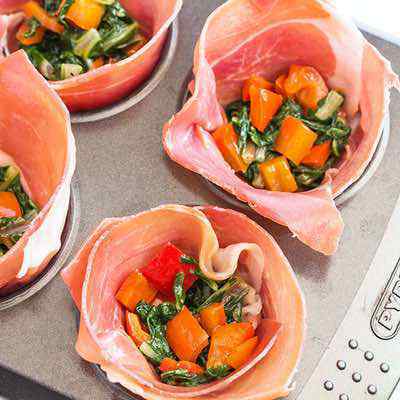 Fill the muffin cups with equal amounts of the vegetables. Pour two egg whites into each cup. Bake for 25-30 minutes until the eggs are set. Remove from the oven and set on a cooling rack. Serve warm or store in resealable bags in the refrigerator. 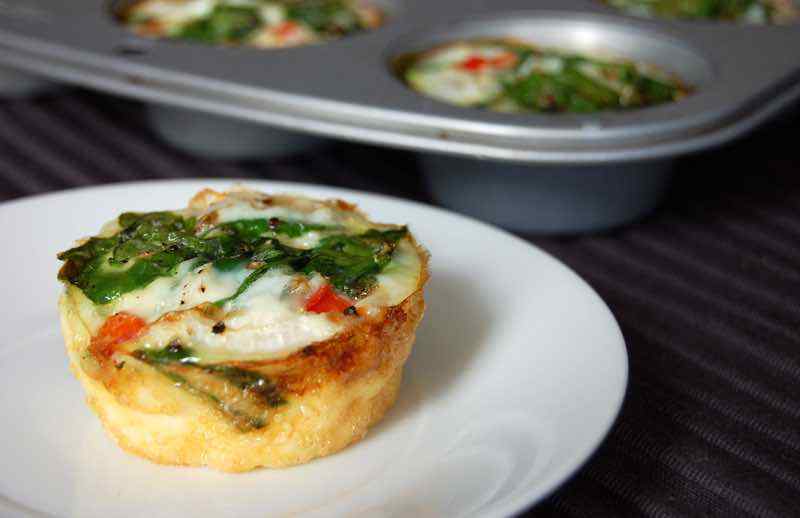 Egg muffins are a great solution for when you need to eat breakfast in a hurry or even for quick meals on-the-go. They store well in the refrigerator and are still delicious when reheated the next day. Top them with sliced avocado or even a bit of hot sauce to add extra flavor. 1. Preheat the oven to 350 degrees F. Spray a muffin tin with coconut oil spray. In a medium bowl, whisk the eggs together with the salt and pepper. Stir in the tomatoes, onion, and basil. 2. Spoon the egg mixture into the muffin cups, filling each one about halfway full. Bake for 25-30 minutes until the eggs are set. Remove from the oven and set on a cooling rack. Serve warm or store in the refrigerator. Like all Paleo recipes, this one is grain-free, which means you won’t have to worry about gluten or your body’s response to grains. This is a classic offering, with bacon, egg, and cheese working together to give you a full breakfast in the palm of your hand. The bit of crunch that the outer layer gets from baking these makes them really special, and you’ll definitely reach for another one after you have your first. Pepper, onions, and mushrooms make this a truly special breakfast you can make any time. This is a meaty MeatMuffin instead of a McMuffin, and the reason is quite clear. 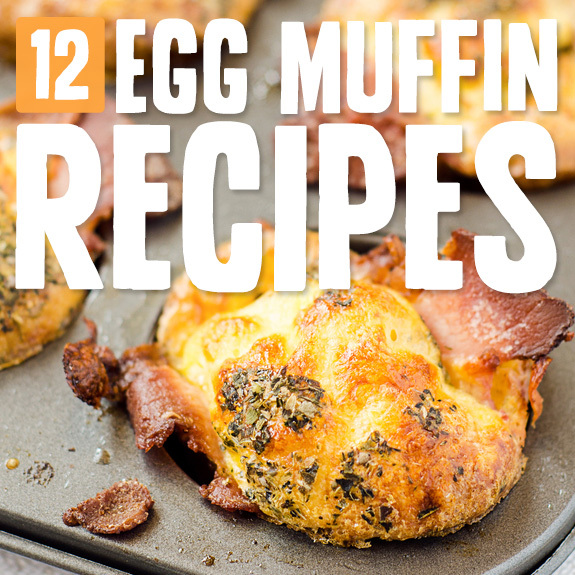 The entire outer portion of the muffin is made out of meat, with an egg baked up inside the meaty container. This is one breakfast that is heavy on the protein, so you’ll have energy to get you through your morning, without the crash that comes from a carb-heavy breakfast. Grass-fed ground beef means you’re getting a high quality meat with extra CLA that will help you lose weight, rather than grain-fed beef that can make you gain weight. When you’re talking about an “everything but the kitchen sink” style recipe you’re just trying to use up what’s on hand at the moment. That’s why when you see a recipe like this one you should see how they did it, and then see how you can come close to doing it with what you have. Don’t run out and buy all of these ingredients just so you can make them. Follow along as closely as you can with what she had, and then play jazz with the rest and see if you can come up with something just as delicious. Paleo doesn’t have to be an expensive diet, and here she’s showing you how to make egg muffins on the cheap. You might get overwhelmed by the thought of buying only organic produce, or only grass-fed beef. Start with getting rid of the junk and following the Paleo guidelines first. You’ll still get life-changing benefits, and as you settle into your new way of eating you’ll see that you’ll likely be saving so much from not eating junk food and fast food that you can pay a little more for premium ingredients. 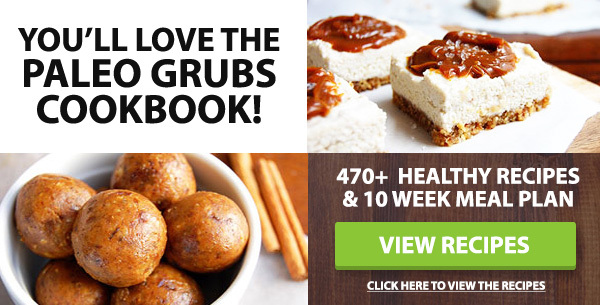 Every Paleo recipe is automatically a gluten-free recipe thanks to the “No Grains” rule of Paleo. 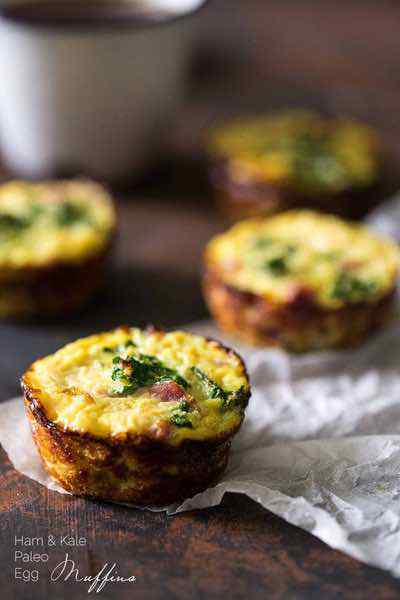 These GF egg muffins are sure to satisfy, without any worries about how you’ll feel after you eat them. You’ll be getting spinach, carrots, bell peppers, and basil all mixed into each bite, with plenty of pastured eggs to fuel you up. Pastured eggs means the same as cage-free, where the chickens were allowed to roam around and have a more natural lifestyle than those cooped up in pens and harvested for their eggs. Unless you want pizza for breakfast you can cook up these pizza muffins anytime of day for a savory treat. They are loaded with yummy pizza ingredients like pepperoni, tomato, basil, and oregano, but without the stuff that you can’t have on Paleo like the crust and the cheese. 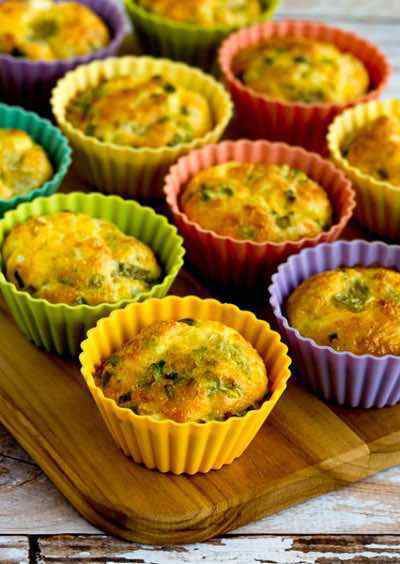 Kids love these muffins, and adults do too, and when you’re getting all benefits and no drawbacks, it’s as if pizza is back on the menu and you don’t have to feel bad about it anymore. Black olives and mushrooms are additional toppings you can opt for. You cook up these egg muffins in little shells made out of sweet potatoes. This means that you’re getting the antioxidant value from sweet potatoes, not to mention the fiber, along with the protein and minerals from eggs. This makes it a great way to start your day and helps round things out so it’s not just all protein. Sweet bell peppers and sausage join the eggs in the filling so there will be a few different flavors for your taste buds to discover. This is one recipe that stands a chance of making into your regular morning lineup. Keep it simple and you keep it Paleo. 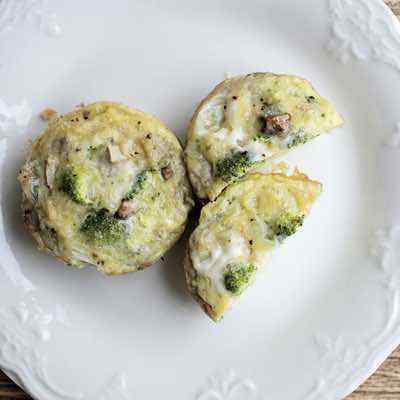 With these breakfast egg muffins you are getting just a handful of ingredients, but that just means that you can actually taste each ingredient that’s in them. The regular breakfast fare is here, which includes eggs of course, as well as green and red bell peppers. But there’s an additional ingredient that promises to spice things up, and that’s jalapenos. This is an optional ingredient but definitely something you’ll want to add if you love spicy foods.